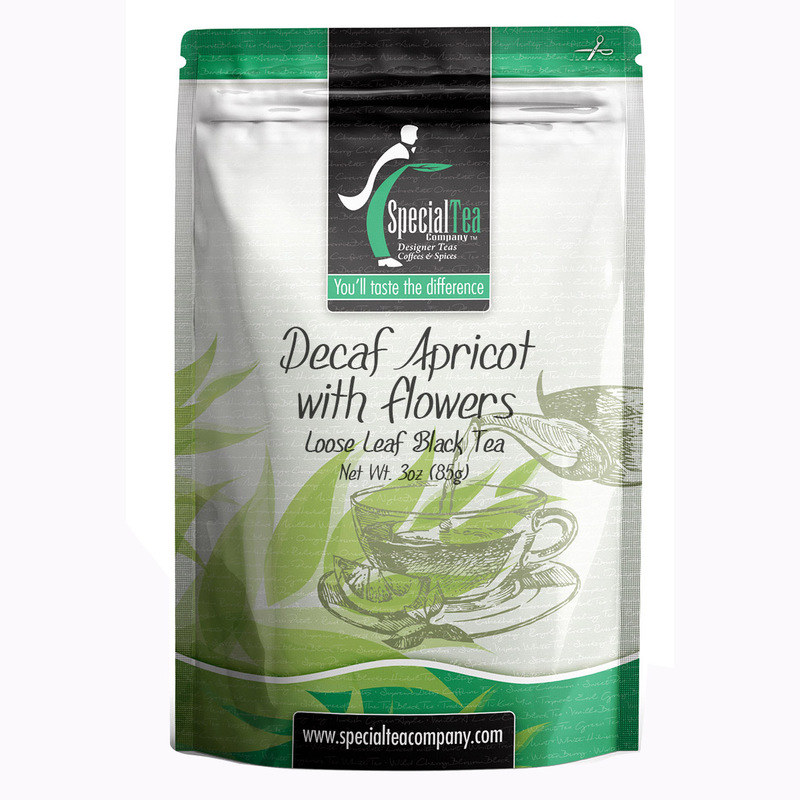 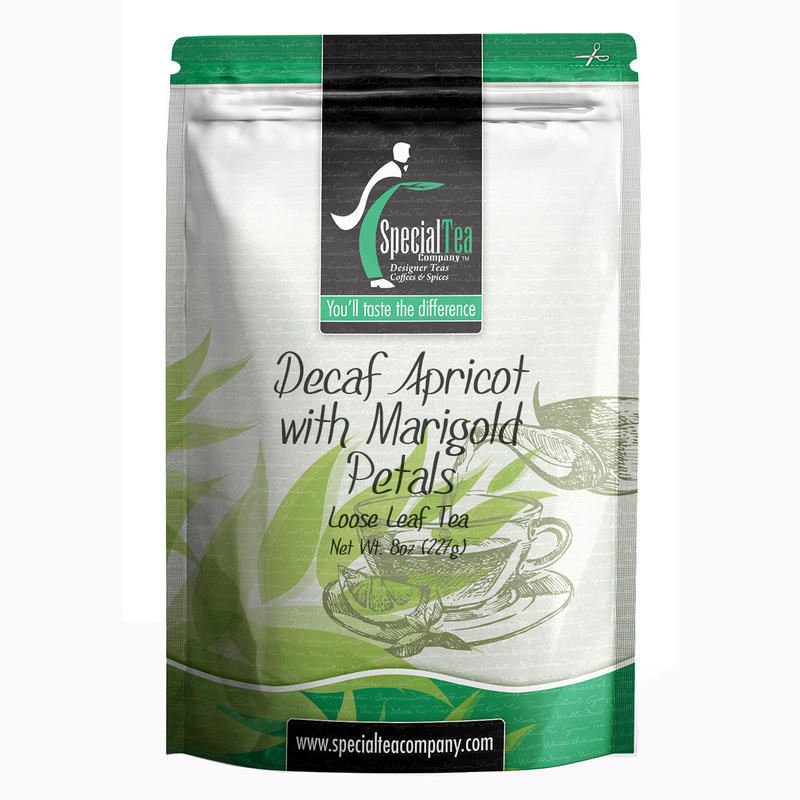 Decaf Apricot with Flowers Black Tea. 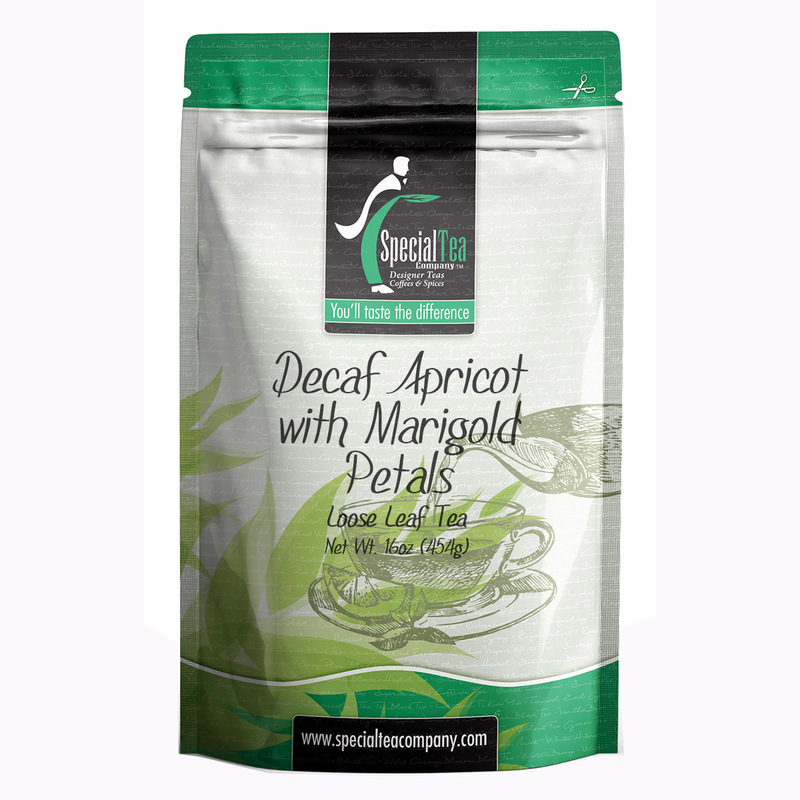 Fresh Apricot taste, sans the caffeine. 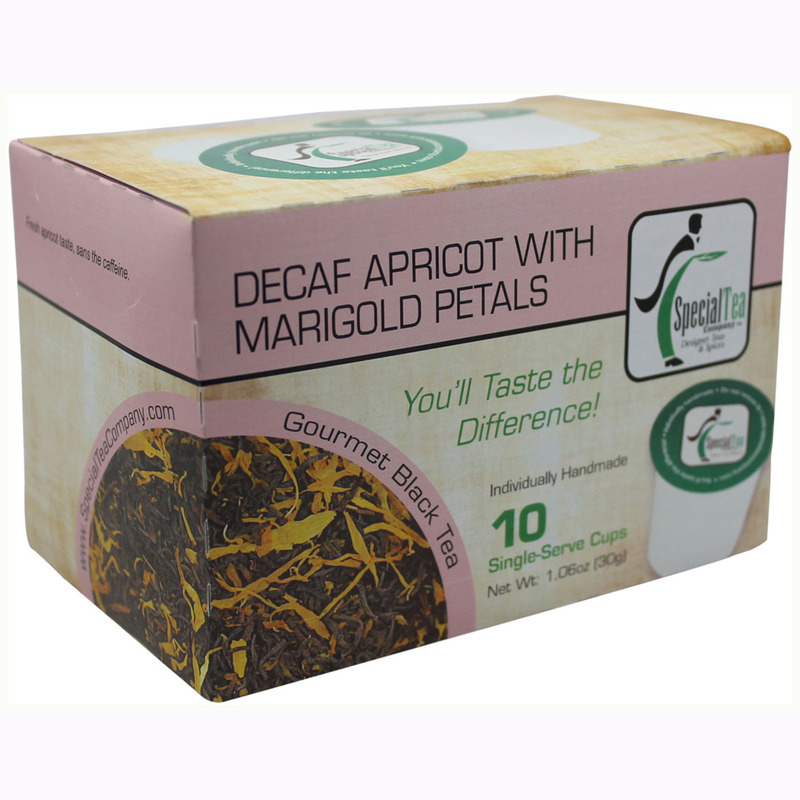 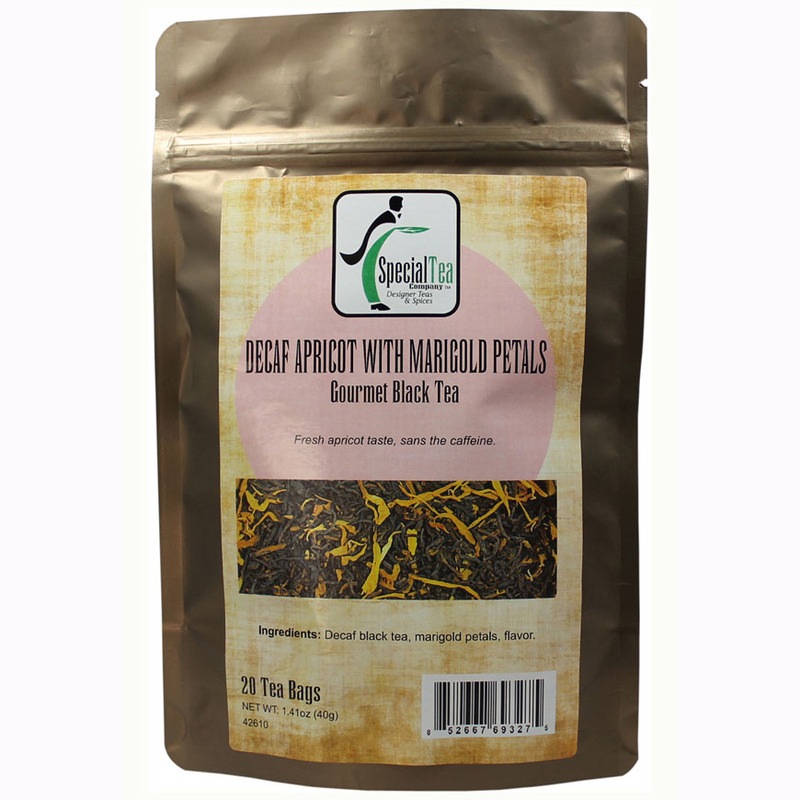 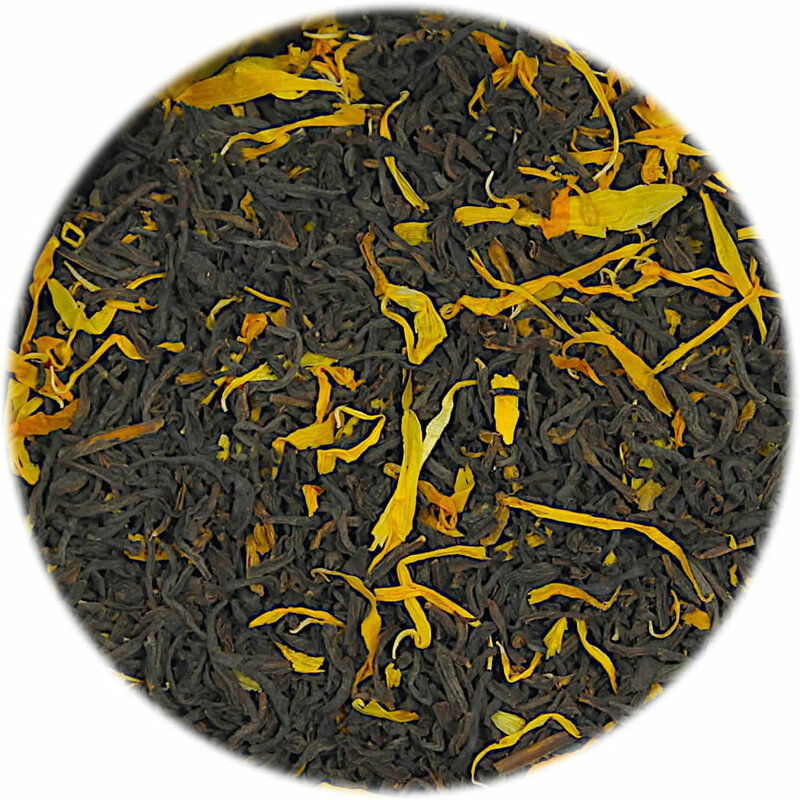 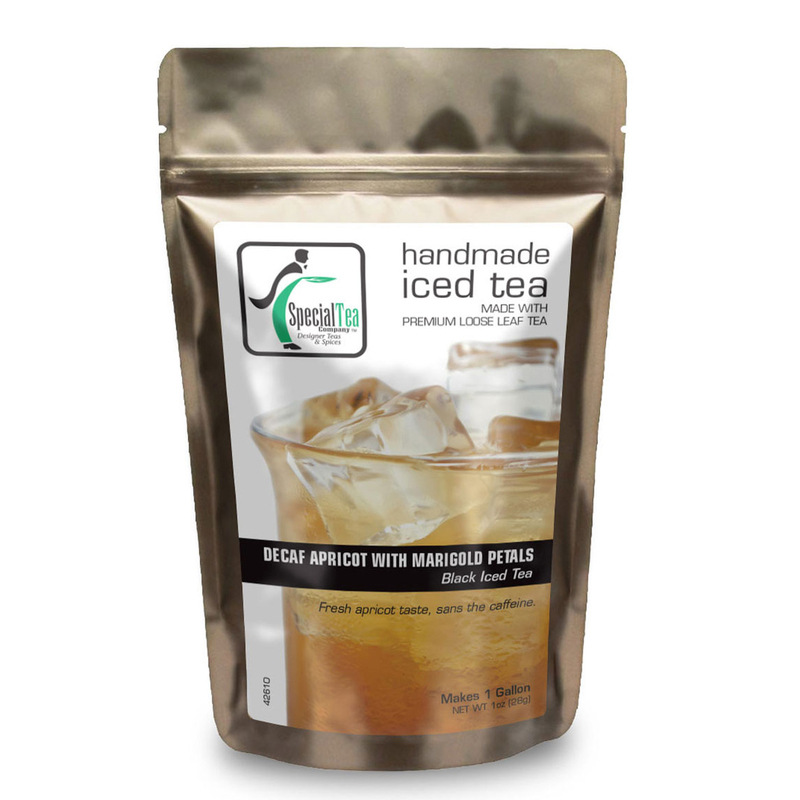 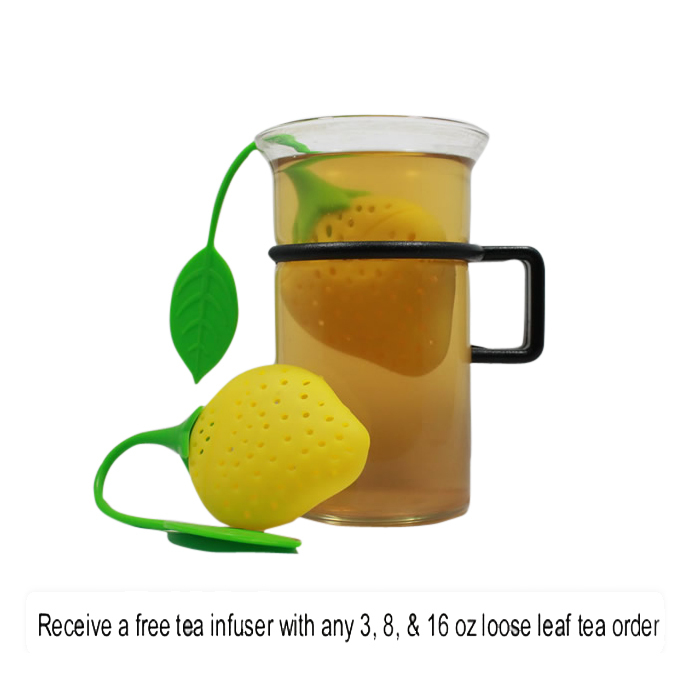 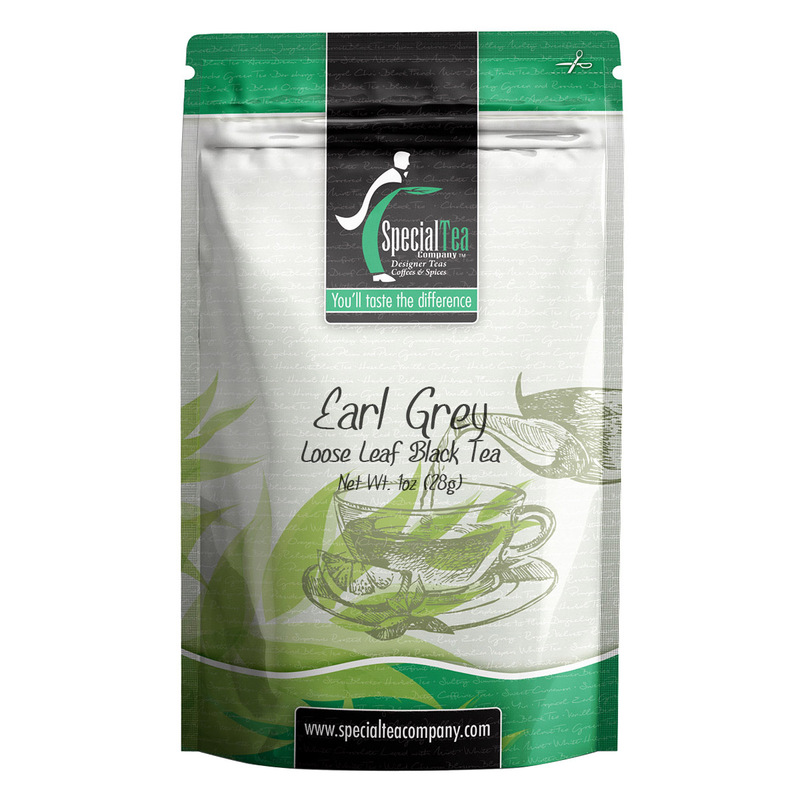 Ingredients: Decaf black tea, marigold petals, flavor.